An understanding of the phenomena associated with cavitation is important in many areas of science and engineering. 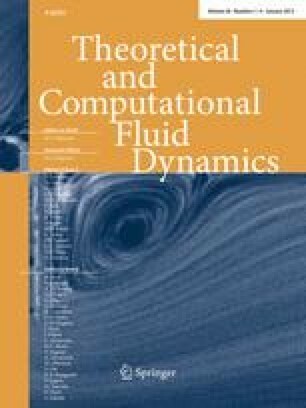 This paper is concerned with the influence of viscoelasticity on the dynamics of cavitation bubbles near rigid boundaries. Viscoelastic effects are modelled using a Maxwell constitutive equation, and a generalized Bernoulli equation is derived. The governing equations are solved using the boundary element method in which both the bubble surface and the potential are represented by cubic splines. The numerical scheme is validated through comparisons with results in the literature for the inviscid case. The introduction of viscoelasticity introduces some interesting bubble dynamics including the occurrence of oscillations during collapse. Most importantly, it is shown that viscoelasticity can serve to suppress the formation of a liquid jet. The subsequent reduced pressures compared with the inviscid case suggest that viscoelasticity has a mitigating effect on cavitation damage.